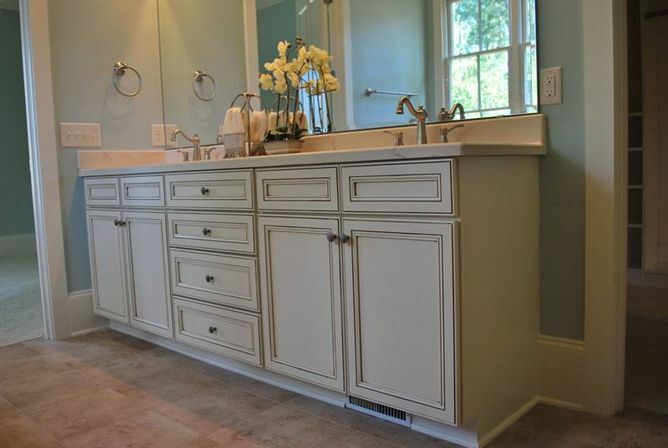 Most of the bathrooms don’t really have enough space to place there all that we want and till the recent time we were all satisfied just by the standard solutions such as a simple bath, sink or a bathroom vanity with a sink. But the modern designers know everything about all our limitings and try to design and construct the special models that will perfectly and simple fit even the smallest bathroom. 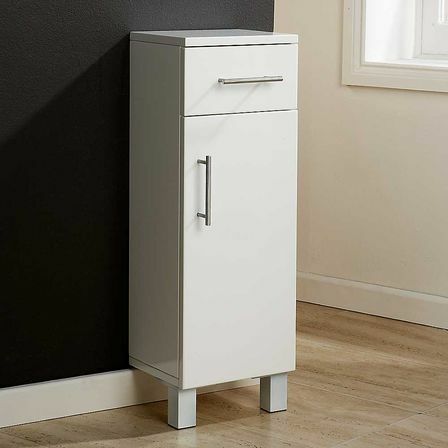 It can sound weird, but you can’t even imagine how convenient and compact the floor bathroom cabinets can be because it’s not necessary that the floor bathroom cabinet is such a huge and bulky furniture elements that steals all the fee space in the bathroom. 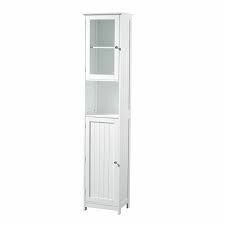 It can be a stylish linen cabinet, and if it’s also equipped with the mirror than it will also make the space looking more wide. 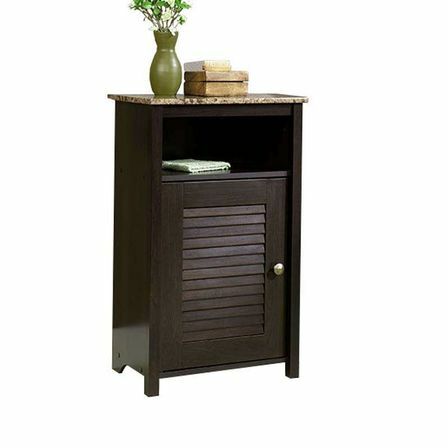 The types of the floor bathroom cabinets. 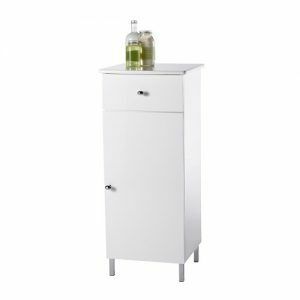 As we already told most of the times you think about the floor bathroom cabinet as about such a huge and bulky furniture element having lots of unnecessary shelfs and zones. Of cause if you have a big bathroom you can definitely choose a floor bathroom cabinet model that has 3 meter in width and a big height. 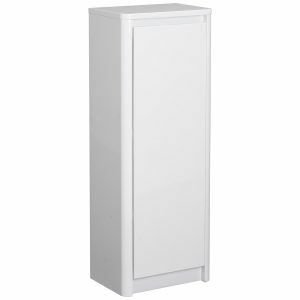 This king of floor bathroom cabinet can have the really thick legs or even be done in a monolithic variant. 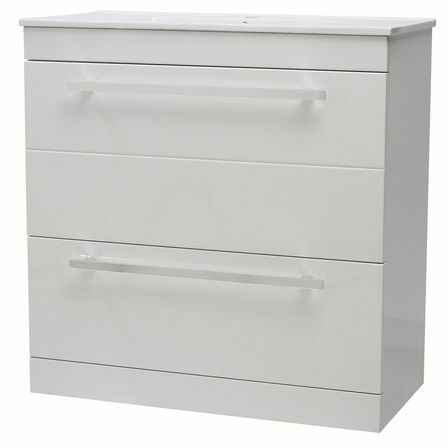 It can also surprise you with its inside constructure as it can definitely have a basket for the clothe, the separated zone with the hangers or the pullout boxes. 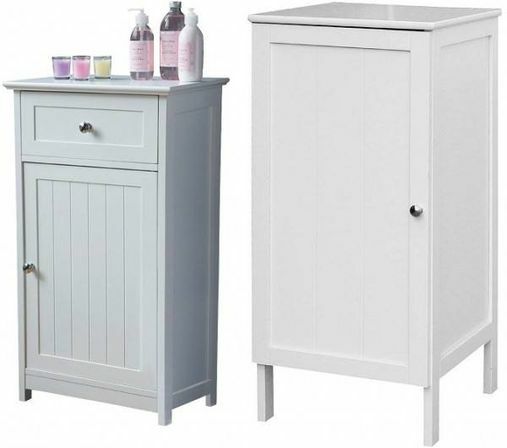 The bathroom cabinet storage can be made from the natural wood or a simple MDF. This model can become a really interesting bathroom decoration element, but it’s such a shame that not everyone can really fit it into his bathroom. For the smaller bathrooms there were designed few compact, but spacious bathroom cabinets. The standard “pencil-case” bathroom cabinet. Functionality. Now it becomes possible to keep all you need at the same place. There can be places everything starting from your bath taking products finishing by the towels and the rarely used bathroom sanitary engineering cleaning products. It’s pretty lasting. Unlike its small dimensions this kind of bathroom cabinets is made with the same kind of quality as the rest of the bathroom furniture. These floor bathroom cabinets are mostly made from the threatened MDF material, but the cheaper models can have the shelves made from the DSP. Many design varieties. Just one floor bathroom cabinet of it’s type can definitely change the way your bathroom cabinet looks like. Nowadays the designers created and produced such different a models that can be made in such different colors as orange and green, the strict black and decorated with the Eastern elements or made in Provance style can be also made with the carved elements or the geometrical figures. So if you really want to complete your bathroom with such a bathroom furniture element than you can definitely buy or order one that can be customized and made with any painting you want. 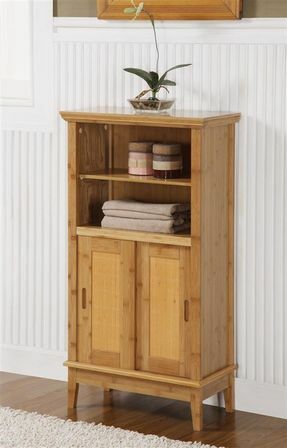 1) Classical floor bathroom cabinet. 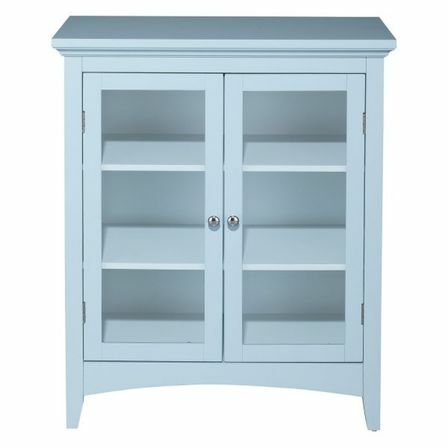 2) Trim floor bathroom cabinet. 3) Corner floor bathroom cabinet. And the last model definitely makes the bathroom cabinet such an indispensable bathroom furniture element because you can easily place it in the most unusable place and make this zone convenient and effective. So in this case you can take the maximum usage of the bathroom place and always have everything you need at hand. 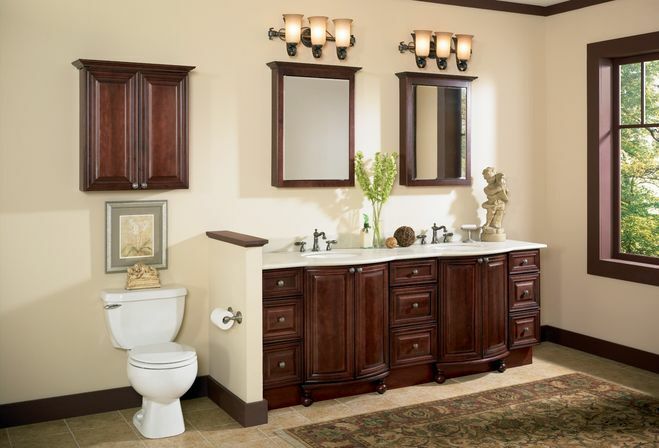 We should also say few words about the way the functional base bathroom cabinets should really look like. 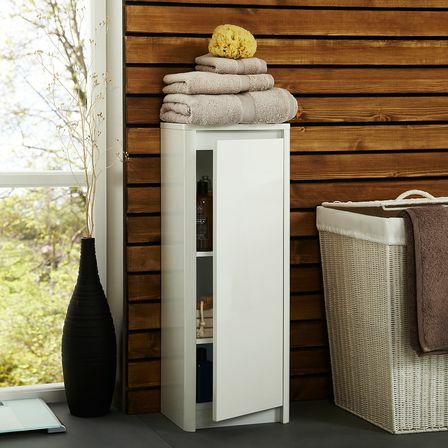 1) First of all, if it’s a really functional bathroom cabinet than it should definitely have a basket for the dirty clothe, so in this case if your bathroom is really not big than you don’t need to think about the other bathroom accessories buying. Most of the times the dirty clothe basket is established on the last shelf of the floor bathroom cabinet. 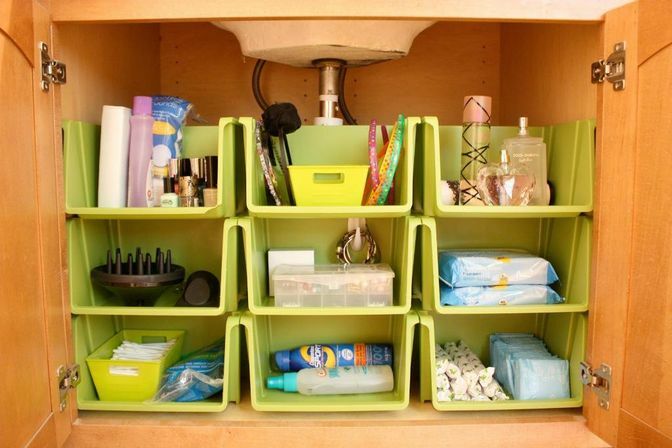 2) Few pullout bathroom boxes will make it possible to keep the small things or accessories such as make up kit, tubes with the cream and the things you rarely use like the decorative aroma candles. 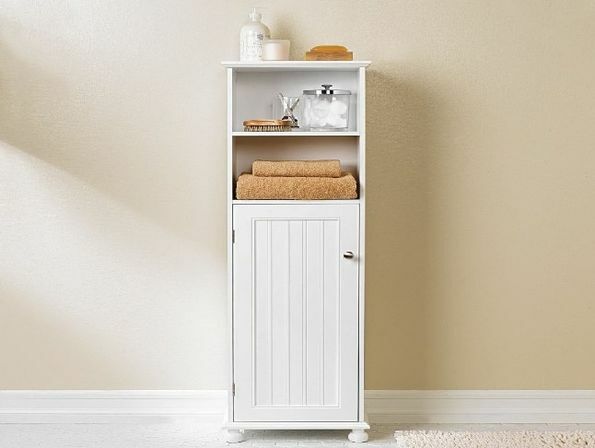 This kind of bathroom cabinet’s boxes will take the middle part of the floor bathroom cabinet. 3) Few really spacious shelves in the top zone of the bathroom cabinet will make it easily possible to keep there all the towels, your underwear of the bathroom sanitary engineering cleaning products. So this is the way the really functional floor bathroom cabinet look like. The other models that have just few inside opened shelves looking even more practical actually don’t let to keep such a variety of the different things and products at the same place. Also it’s gonna be a really good advantage if the floor bathroom cabinet has also a mirror fixed on another side of the cabinet door. This detail is gonna be really useful if most of the times there are two people in the bathroom, let’s say, on the mornings when the bathroom is really needed. Than you can have one above the sink and one on the front door of the bathroom cabinet, as we said, and it’s gonna definitely make the bathroom the way more convenient place then it’s already is. The mirror floor bathroom cabinet as a way of the visual bathroom space increasing. The floor bathroom cabinet with the mirror doors can be a really optimal solution for the small bathroom as its really well-known that the availability of the mirror or even few of them in the bathroom or even any other room can visually make the room looks not just bigger, but also more light and kinda full of air. You shouldn’t be afraid to choose a bathroom cabinet model that’s width more than 1 meter because it’s definitely not gonna look huge or clumsy. They make two important functions at the same time: it makes it possible to keep the things in the same place and don’t make it necessary to establish an extra mirror. It really saves the space because the construction makes it possible to kinda combine two functions at the same time, so you don’t need to separately establish two different bathroom furniture pieces. It can be the really good lighting source as most of the bathroom cabinet storages are equipped with it’s own lighting fixtures. So it won’t be necessary to establish the extra lighting, let’s say, under the overhead mirror. Moreover the embed lighting can help you to make way more warm and cosy atmosphere. 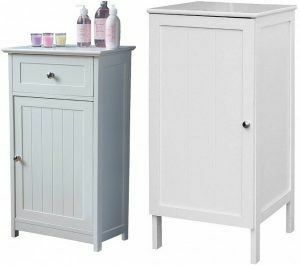 It can become a really stylish addition to the main bathroom furniture pieces as nowadays we have such a mass of different designing varieties. So it makes it really possible to easily choose the floor bathroom cabinet of any style – from the classical made in the pastel gamma to the fashionable spa-style. The mirror models can be surely made in a strict and well-known geometrical for, with the etched mirror frames made in silver, golden or copper colors. The floor bathroom cabinets made in the ethnic style with some kind of historical patterns where the mirrors have an imperfect shape can be placed in the bathroom made in classical or historic style. 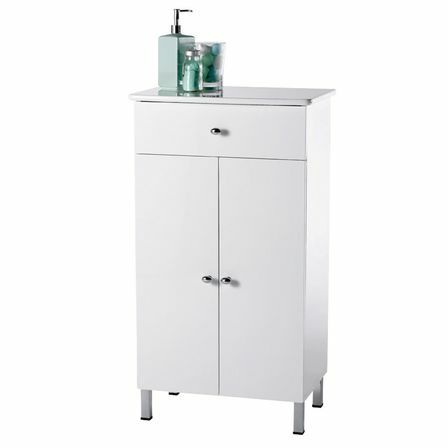 The mirror floor bathroom cabinets are usually produced as the corner or the standard wall types. 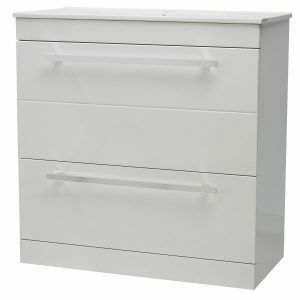 It’s really important to notice that the corner bathroom cabinets should be bought in a set with the same corner style of a bathroom vanity. 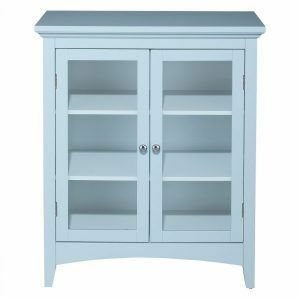 But the single mirror corner bathroom cabinet will look totally silly being combined with the rest of the furniture made in a classical style. Abut even here the furniture designers come to us with the help as they produced the full corner construction that includes the floor bathroom cabinet and the bathroom vanity with the sink. 1) The quantity, placement and the spacious of the shelves. Try to create in your mind the perfect plan of the floor bathroom cabinet in the way only you want to see so you can easily place everything you want there and make it he most convenient place in the bathroom or even in the whole house. 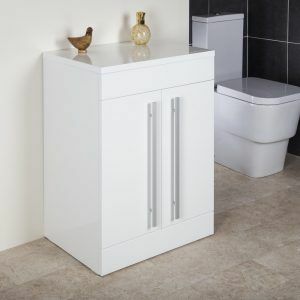 So the most perfect bathroom cabinet is the one where after the full placement of all those products and accessories there still will be the free place where you can put something else if needed. Moreover all the mechanisms should be really lasting so you can easily open and close the bathroom cabinet, moreover you should check if the shelves are really stable and don’t make a creak noise while moving or when you put so ring on it. The designing elements. Which means that the furniture should be in a harmony with the rest of the bathroom furniture pieces and the bathroom decoration in general. If your bathroom is mostly made in a classical style, than you should definitely choose the bathroom cabinet that is gonna complete it. 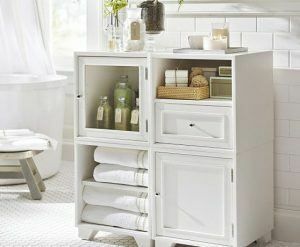 The most perfect and standard solution is the white bathroom cabinet as white is a really standard color that is easy to combine with the rest of the colors and moreover most of the times the bathroom is made in the light colors so the white bathroom cabinet is gonna be a really good choice. Talking about the material of production the mirror floor bathroom cabinets are usually made form the same material as the rest of the bathroom furniture. It can be a natural wood, simple DSP or more effective variant such as MDF.